Studied psychology, though still whimsical. Likes filmmaking, photography and writing. Loves yoga. Embraces Istanbul. Winter is coming, so I thought it would be nice to introduce some of the delicacies you might come across in Istanbul during the year’s coldest months. Some can be found on any busy street, whereas others need to be pursued into a restaurant.. These tastes are so much a part of Turkish culture, that they don’t just fill our stomach, but also shape our winter experience too. Below are some of our favorites. Chestnuts are perhaps the most symbolic streetfood that is associated with winter. During your travels in Istanbul, it is inevitable that you will come across a street vendor roasting chestnuts. The look and the smell of it catches you so that it is hard to resist not indulging in some. This winter delicacy is also high in fibers and has a low glycemic index which means that as well as being tasty, chestnuts are actually healthy snack option. 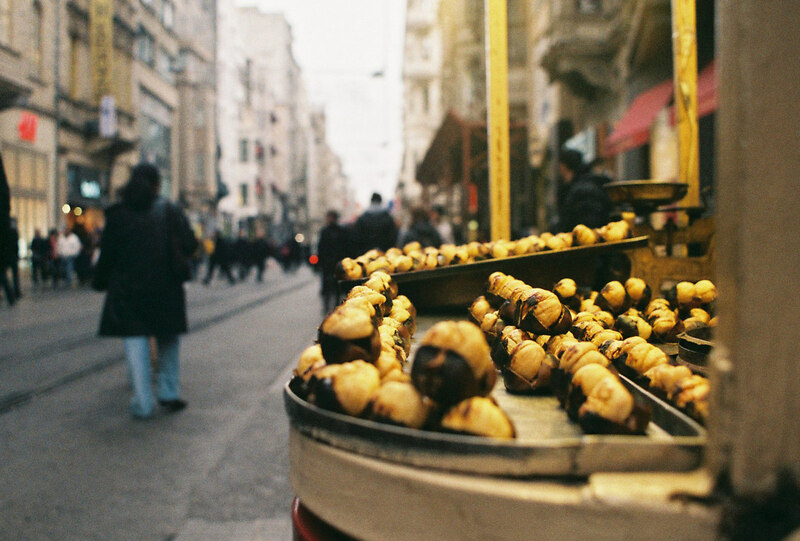 Tip: You will find a glut of chestnuts vendors on the ever busy Istiklal Caddesi in Beyoğlu. 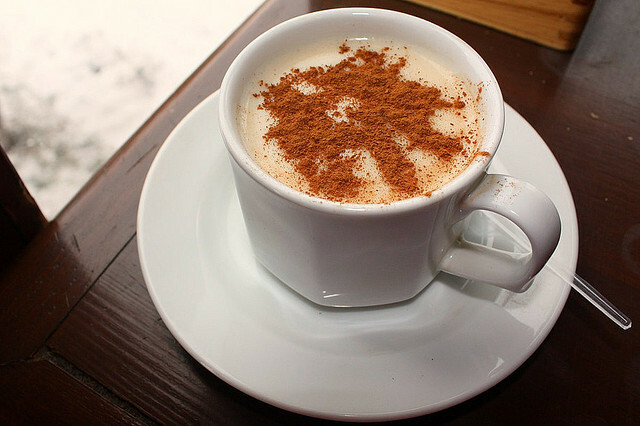 Salep is a Turkish drink that is only consumed in winter. It warms you up and gives you a unique taste combined with cinnamon on top. It is quite filling, so it’s best not to drink it with a dessert or ood. Most of the coffee and teashops offer salep in winter season, so it’s easy to find on a a cold winter day. It is produced from tubers of wild orchids and helps to fight coughs and uneasiness of the stomach. Boza is a famous Ottoman drink that has a cultural history dating back to 17thcentury. In cold winter nights, Boza sellers used to go around in neighborhoods with a gallon of Boza on their back calling with a certain rhythm “Booooo- Zaaaaa” a practice that continues in some parts of the city. 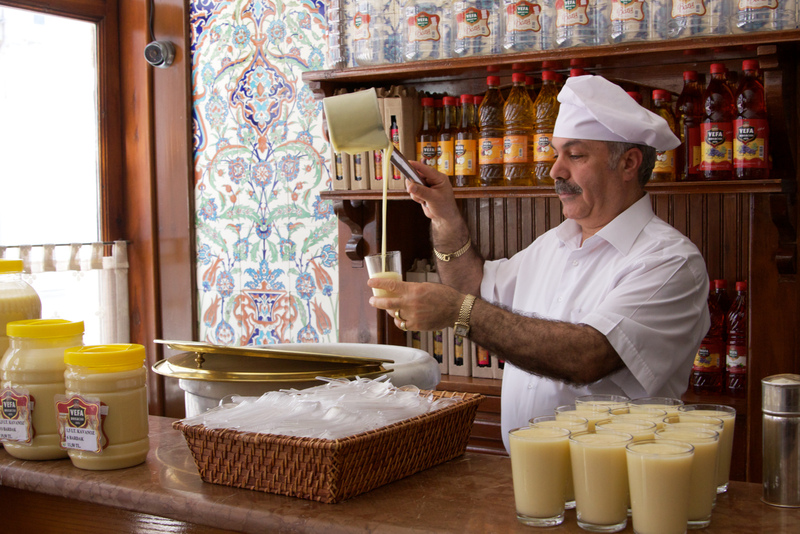 For a truly unique experience of drinking boza, pay a visit to the historical “Vefa Bozacısı”. This charming café was established in 1876 and has become an iconic destination to consume the traditional drink. To really drink it like a local, enjoy with leblebi (roasted chickpeas) and cinnamon sprinkled on top. Another good reason to drink boza is its nutritional qualities. It contains lactic acid that few foods contain. It is also a rich source of vitamin A, B and E and highly recommended for pregnant women to consume. As the statistics suggest, Turkey consumes the most black tea of all the world; way more than the British for example. Since it is cheap and accessible, tea also serves to bring people from different backgrounds together to socialize. Inviting someone for a tea is always a nicer way of asking to chat a bit and it rare for someone to refuse this offer. Although “çay” is the most common drink in all seasons, it warms us up in winter as well. A steaming glass of çay is an essential part of the daily routine of most of the Turkish people. 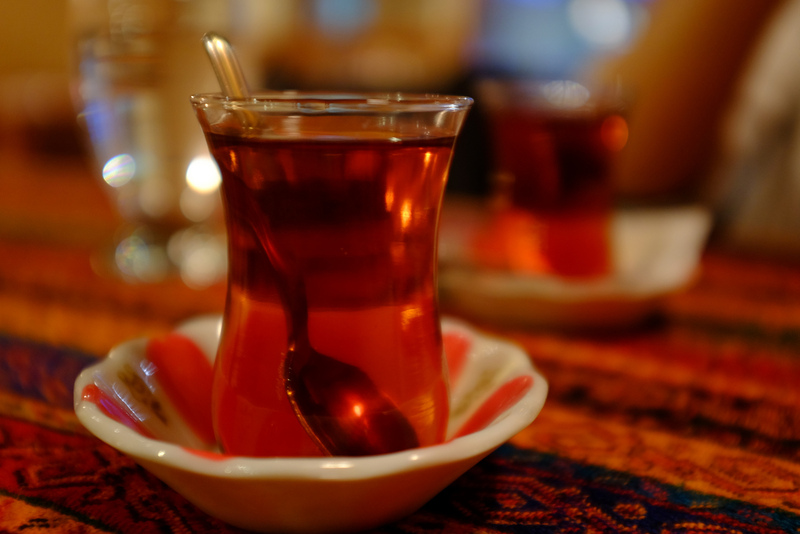 Tip: To get the feeling of what çay means to a local here, you need to drink as much tea as you can. This advice may also give you enough energy to discover more during your journey! I’ve already mentioned that it’s typical to consume them with Boza, butleblebi (roasted chickpeas) are in themself a winter delicacy. 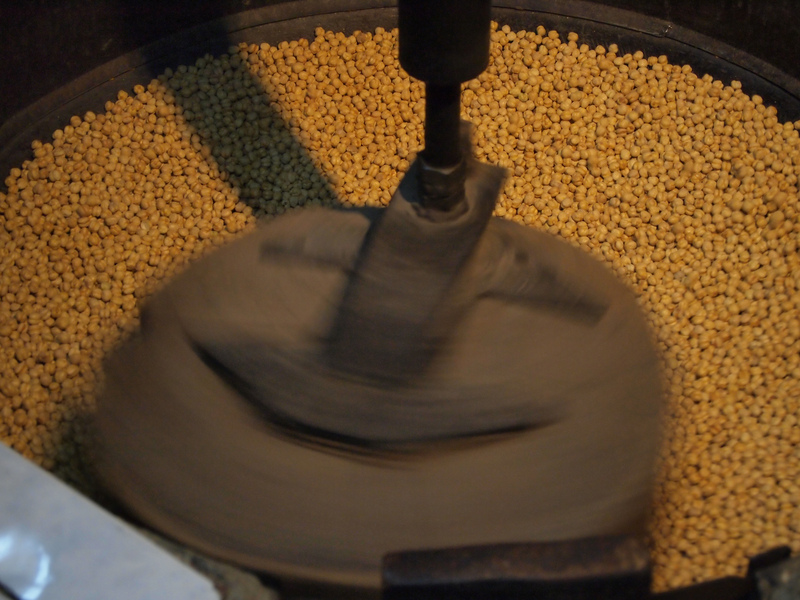 Many stores roast chickpeas in daytime so that you can go and buy some warm, freshly-roasted chickpeas on your way home. Leblebi are low on fat and high in healthy carbohydrates, so good to consume. Pickles mainly help us to preserve our vegetables throughout winter. With a sour and salty taste turşu is a cultural winter delicacy in Turkey. 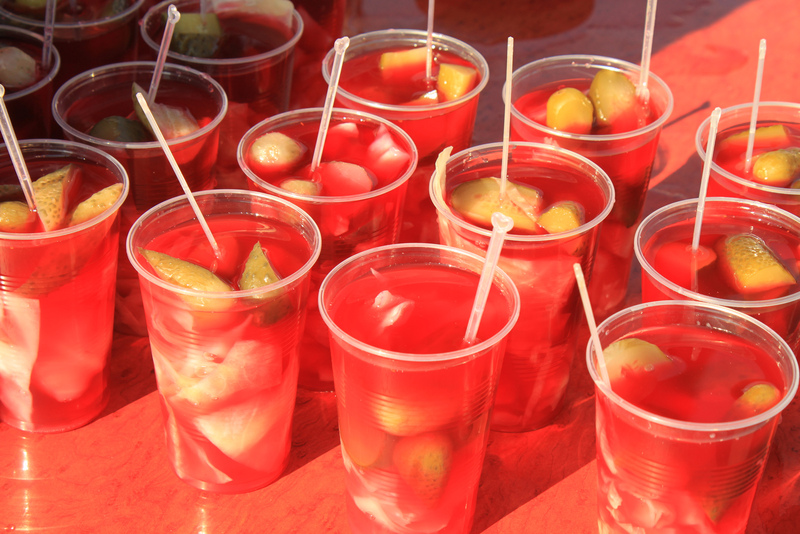 Many fish vendors and fish serving boats in Eminönü, serve turşu in a glass with its only juices. Drinking the pickle juice is believed to protect you from the cold. The most common types of pickles in Turkey are cabbage, green pepper, and cucumber, but you can also find almost any other vegetable preserved this way. If you want your loved ones to taste this delicacy, there are many pickle shops in Istanbul where you can buy a jar of pickles as a gift for family or friends. Pumpkin dessert is a typical winter food that you have to try. 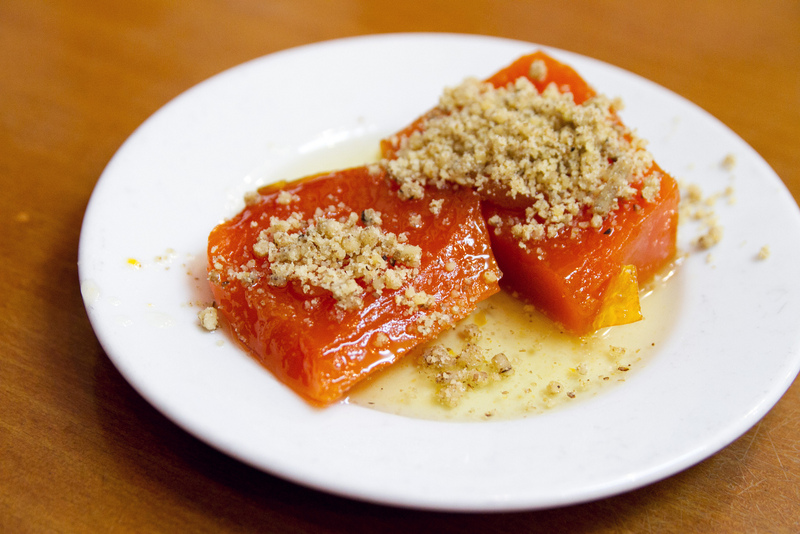 Pumpkin is cooked in syrup in the ovensyrup and served with hazelnuts crumbled on top. It is also common to pour tahini sauce on it. You can try it in many restaurants all around Istanbul during winter. Quinces are winter fruits that are highly common in Turkey. Since quinces grow quickly and give abundance of fruit all at once, there are many ways to preserve them. One way is making a dessert with it. 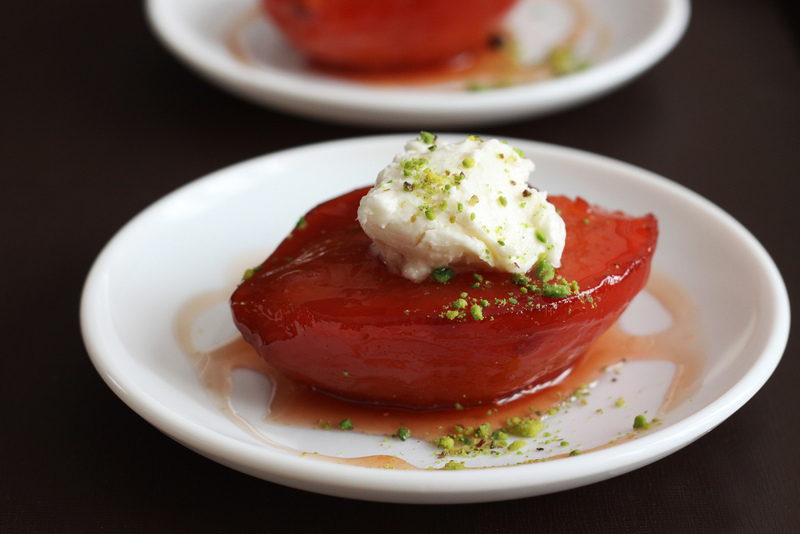 Similar to pumpkin dessert, quinces are also cooked in oven with syrup. It is also usual that it is served with clotted cream on top. It is a traditional delicacy that will sweeten your winter days. So, these are what winter brings us beyond its cold and breeze. Sampling a few of these delicacies ought to give you enough energy that to sustain you during your long walks discovering the city. Not only energy, these winter tastes will give you a more valuable gift which is understanding the feeling of winter in Turkey. If you find this article helpful please share with your friends.